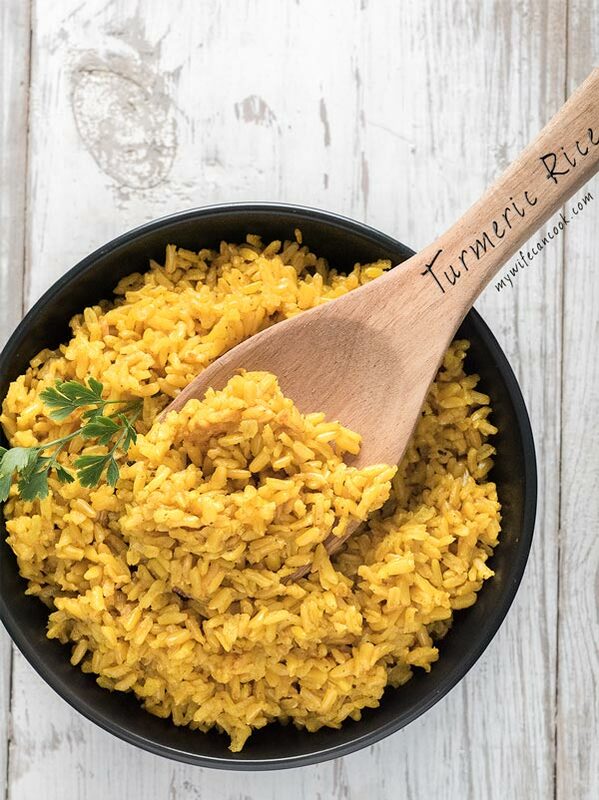 As our weekly family meal planning continually evolves and includes more and more prep-ahead meals (Sunday is usually our big prep day) and more large batch meals, we find we’re eating turmeric rice more often. We usually make at least one rice or grain bowl early in the week (so we’ll have leftovers) which usually involves quinoa or today’s turmeric rice recipe. 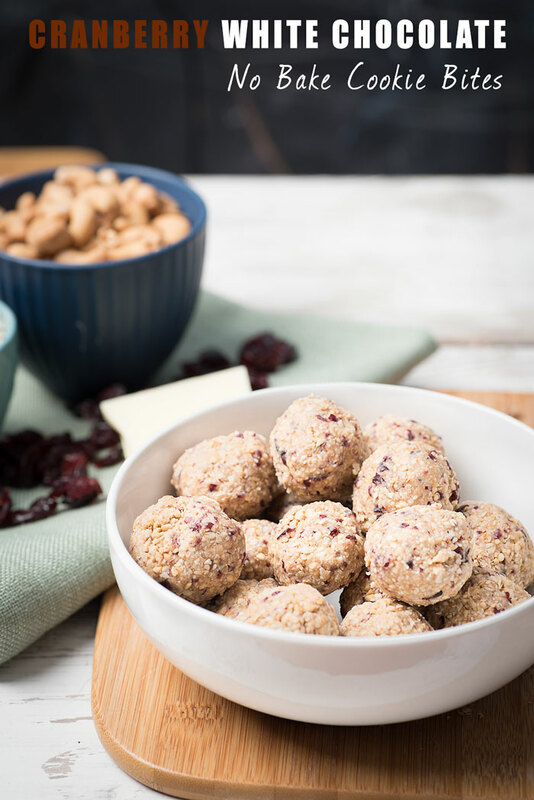 The batch prep strategy is perfect for the busy family lifestyle as it means you then have lots of pre-prepped food on hand during the week that can be thrown together quickly for easy lunches or for easy dinners on nights when you are tired or busy. Weekends are usually the optimal batch prep times as family schedules tend to be busier during the week, but it really comes down to what works for you. And while it is hard to sometimes muster the energy and discipline required to spend several hours standing in the kitchen prepping food on a Sunday, it is SO worth it when you experience the benefits later in the week. We usually don’t get all of our meals prepped on Sunday, but we do usually at least get some of them done and this really does help alleviate some of the stress and workload during the week; it’s a sanity saver on soccer and dance night! Currently, we’ve have a few batch prep favorites that regularly find their way into the weekly rotation. We love doing Tex-Mex or taco bowls and taco night is something that seems to work fairly well for our kids. We also love these cilantro quinoa bowls. 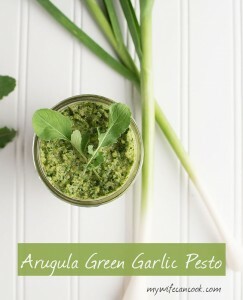 They are amazing and have become on of our favorite meals. The kids can pick and choose what toppings they like, choose whether they want the bowl or to have everything on a tortilla, or sometimes they’ll even choose to separate it all insisting no two food items touch each other on the plate. Hey, that’s fine, as long as they eat it! 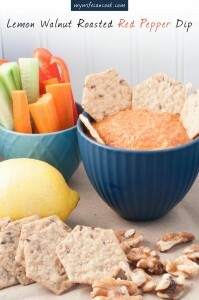 Sometimes we’ll even offer up scoop-style tortilla chips and everyone gets to scoop out of their bowl (fun for kids). Sometimes we swap in turmeric rice for the quinoa and we love using this turmeric rice recipe when we make another of our new batch prep favorites, our Chicken Shawarma Bowls (coming soon!) 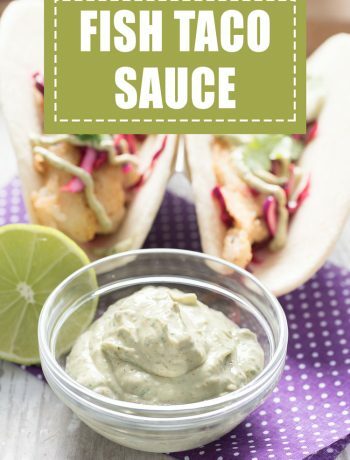 with Lemon Tahini Dressing. 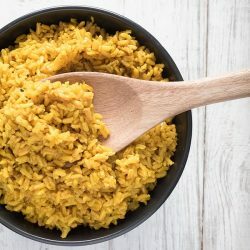 Turmeric rice is perfect for all-in-one meal bowls and we became big fans after eating it at a restaurant near my hometown. It was a natural match as we were already big fans of turmeric and regularly add it to our chai tea concentrate and mulligatawny soup. Turmeric is easy to love as the great flavor comes along with great health benefits. Dr. Axe talks about 10 Benefits of Turmeric which include use as an anti-inflammatory, uses in diabetes management, and uses in arthritis management (among other benefits). The article even says that turmeric “is arguably the most powerful herb on the planet at fighting and potentially reversing disease”. Hey, sign me up! If it’s a flavor you enjoy, why wouldn’t you try to include it in your diet? As you can see, there are lots of ways to enjoy turmeric! We’d love for you to start with our turmeric rice, but try some of the ones above as well and come up with your own! You can let us know down in the comments the different ways you like to enjoy turmeric. Bonus tip: Consider getting a rice maker! Our rice maker is a big asset in our weekly meal prep. We use it whenever we make plain rice or quinoa, which is fairly often And throwing in extra spices and flavors is super easy and takes it up a level! I think one of the keys when using a rice maker is to add a little oil to the water so that it doesn’t all clump together. I tend to just follow the directions on the package of rice for how much water to use. Then, add salt, pepper, spices, and maybe some lemon or lime juice along with the oil. I tend to try and catch the rice cooker during its last 10 minutes of cooking and stir/fluff with a fork and then close for the finally 10 minutes. I don’t think that’s necessary, but it does seem to help. Put rice and water in rice cooker (follow directions on your rice bag for quantities of water). Add other ingredients and gently stir. I love turmeric! I recently made a grilled shrimp with coconut curry that had a lot of turmeric in it, delicious! Your rice sounds delicious also!I also love the sound of the chick pea fritters! I’m checking that one out too! Thanks for the inspiration! We are fans of the rice as a base! Throw on your favorite toppings, and there’s dinner. A stple in our kitchen. Love turmeric and the color it gives. It definitely isn’t as easy as you would think. Delish! I have been using turmeric and masala a lot lately. You have just given me another reason to. Love the colors and flavor profiles. Thanks! They are a good combo!